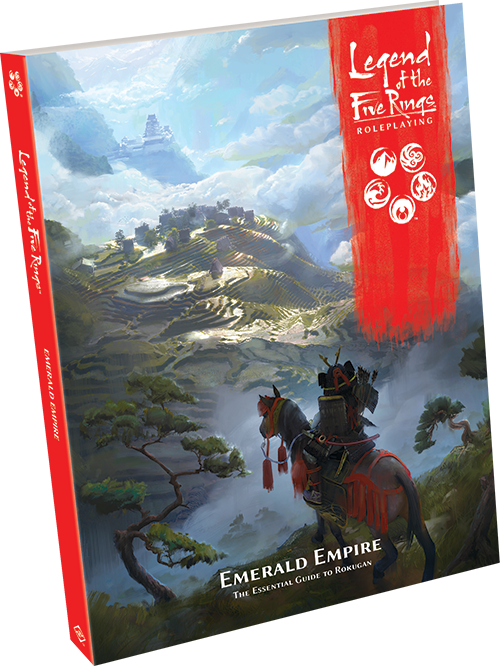 Fantasy Flight Games is proud to announce Emerald Empire, a new 256-page hardcover sourcebook for Legend of the Five Rings Roleplaying! Within the pages of this book, you’ll explore the places and people of Rokugan, from small villages of fisherfolk or mighty daimyo? in their castles to deep primordial forests and the spirits that dwell within. This book examines every aspect of life in the Emerald Empire, from food, to dress, to religion and spirituality, to matters of etiquette great and small. Emerald Empire is the first sourcebook for Legends of the Five Rings Roleplaying, and provides a look at the culture and landmarks of Rokugan as well as several new player options, including new advantages, disadvantages, and techniques. Emerald Empire is split into seven distinct section. 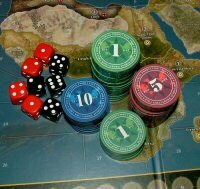 Six of these focus on aspects of society or geography found throughout Rokugan, while the seventh introduces new player options for characters. Rokugan is a vast land, and to detail every town and valley, every tradition and social role, is beyond the scope of any single volume. However, Emerald Empire will give a wealth of in-depth information on a great variety of these locations and traditions.